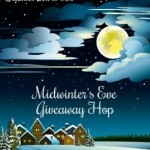 Black Friday Book Bonanza Giveaway Hop – Escape Reality, Read Fiction! 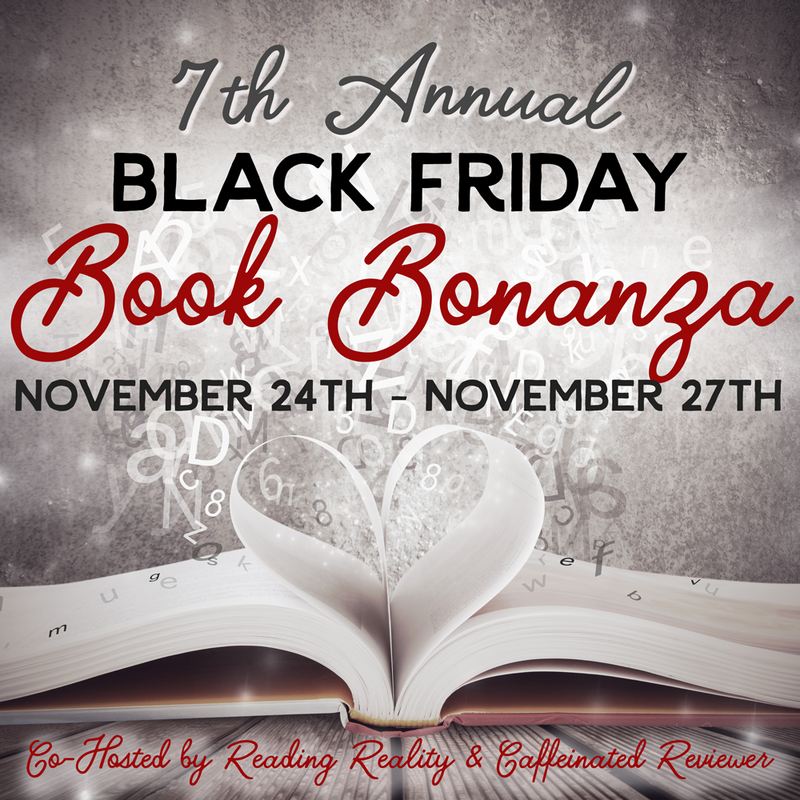 Welcome to the Black Friday Book Bonanza Giveaway Hop, hosted by yours truly, Reading Reality, and the Caffeinated Book Reviewer! As everyone knows, Black Friday is the Friday after Thanksgiving in the U.S. It’s the day when all the stores run all the crazy doorbuster sales, starting at absolutely obscene hours of the morning. Or the night before. Black Friday got its name because the opening of the holiday season was usually the first day of the year that retail outlets began operating at a profit, in other words, in the black, and out of the red that means debt and loss and other bad things. But with Cyber Monday now happening all holiday season (and all year round!) things are not what they used to be in the world of retail and in-person shopping. Which won’t make today any less frenetic if you go to the sales. I’ll be with friends, and doing my shopping online. What about you? 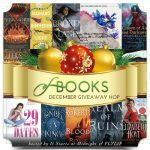 For a chance to get a start on your holiday shopping, fill out the rafflecopter for your chance at either a $10 Amazon Gift Card or a $10 Book from the Book Depository. 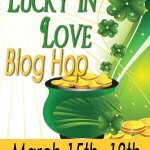 And for more fabulous bookish prizes, be sure to visit the other stops on this hop! I dislike the crowds, but I love finding the deals! I love those impulse buys that turn out to be perfect gifts! Laura Thomas recently posted..Happy Thanksgiving Everyone! I love shopping but hate crowded places so tend to go during off peak hours. Happy Thanksgiving! I love the deals but I hate the rude people! I don’t even care about the crowds, but so many people are so rude! “What do you like most (or least) about holiday shopping?” I like stuff! More, more, more, I must have more! I love the deals but I hate the crowds. I shop mostly online for gifts. It’s much easier than finding someone to entertain my kids so they don’t see what they get for Christmas! I love how joyful it is! The only thing I like about shopping is finding amazing and unexpected deals on specific gifts I was buying. But I do 90% of shopping online now. Some people in the crowds are terribly rude and pushy taking the joy out of it. The crowds are too much! I love the bargains but hate the crowds. Finding great deals is what I love most about holiday shopping. I hate the crowds and how rude people . I love the Christmas decorations and making my family happy with my gifts! Yeah, I pretty much loathe going to stores any time of year. Black Friday? Forget it! But I don’t do much Christmas shopping anymore, and the little I do do is via the Internet. It’s made things so much more relaxing that I can honestly say I don’t mind it anymore. I don’t do the Black Friday shopping. But I don’t mind doing some shopping. I do most of mine online. I really hate holiday shopping and avoid it as much as I can…. I avoid going into stores during the holidays as much as I can. I work for the mall of America so I know how crazy shoppers can get. Great giveaway. Thank you for hosting. Enjoy the holiday season! I can’t stand holiday shopping, so I do most of it online. I dislike all the crowds when I shop during the holidays. What I like most is finding good deals and sales. What I like least is fighting the crowds! I dislike shopping. Nothing fun about it. When I do have to shop, I do it online. I like some of the decorations in stores, but I do my shopping online because I hate crowds so I go out when most stores aren’t even open yet! I don’t like not having the money to buy what I want. I hate crowds in shopping malls. I dislike the crowds and long lines, that’s why I shop online. I hate the crowds and everything that goes with it–parking, traffic, lines, etc. I love saving money and the holiday spirit. I hate standing in line waiting. I do most of my shopping online. I rarely shop as it is too tiring and difficult. I shop online. I like that I am able to shop online and not actually get out in the crowds. I don’t like the crowds. I like buying gifts for other people, but I don’t like the crowd and how sometimes it can be difficult to find the right present. i like shopping online and my favorite is the sales. I like that today you don’t have to leave your house to shop! I can skip the anxiety and rude masses Black Friday shopping and order from the comfort of my home. Get what I want and done! I actually don’t do much holiday shopping at all. My family and close friends (we’re all small in number) have really cut back on the gift-giving over the past few years, and I make most of my gifts. I do still buy some gifts [out at stores], but tend to just pick little things up here and there. I like that I’m really able to do this at my leisure, and when the moment feels right. sorry, I hate shopping, and my budget doe snot allow me to do much anyway. Right now, I’m thrilled at drying marigold flowers to gather the seeds, so that I can fill little bags to distribute for people to sow next Spring. it’s so simple, and from my garden, but people love it, yesterday, another person thanked me for the bag I gave her last year, and now she’s going to do the same! As I get older, I just can’t get myself to wanting to shop much. I do alot online and I get my list ready and my daughter and daughter-in-law go Black Friday shopping (and they both love it) and get me everything on my list!!! What I don’t like about holiday shopping are the prices, and the cold weather. I try to shop all year and save things when I find them on sale, for the holidays. I already know I won’t have the money during any year, living on a fixed income, to spend on the holidays. I can’t stand the grumpy people. I love all the deals that stores offer. I don’t like the busy malls during the holiday season but I love buying my family and friends gifts! I like the online sales! I don’t like being in the crowds. When I go shopping, I like taking my time and deciding what I will be getting each person on my list. I can’t do that when someone is always in your way, or you in theirs. I dislike the traffic and the crowds of people. I love being with family. I don’t like waiting in lines and such, so I prefer online shopping. I used to enjoy the Christmas decorations, Christmas music, and smiles from other shoppers in the stores, but it just doesn’t feel the same now and so many are rude and grumpy. I shop more online and only venture out to smaller stores during quieter times. I dislike all the crowds. The way you are pushed and shoved around. I try to get mine done early or order online. I don’t like how rude people get, because they are greedy! I like when I find the perfect buy for my loved ones. 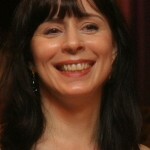 I love the bargains but prefer to shop online if I can and I have done a bit too much of that lately! I’m not a fan of the crowds. I hate wrapping presents. I usually buy so many small presents and hide them from my kids and then I forget where I hid them. I like finding things that I know someone on my list will like, especially if it’s a bargain! I dislike the crowds. I like finding things for others. I don’t like shopping because I never know what they’ll like. I don’t like the crowds and the traffic. I hate waiting in a queue ^.^ so annoying! Least like the crowds, and mostly love the feeling of looking and searching for that right gift for someone. I love getting a good deal on something I’ve been eying for a while, and luckily online sales make it easy to avoid crowds! I dislike the crowds, but I like the Christmas music and the decorations everywhere. What I like most about holiday shopping is buying something special for my loved ones. I love the adventure of finding the best gift for the right person. I love the surprise of it, when you come across an unexpected treasure that just screams the person. Which is why half the time, my holiday shopping begins in January and randomly takes place throughout the year lol. What I like most is when you find the PERFECT gift for someone. Best feeling. Love finding all the good deals but I hate the crowds! Thanks for the chance to win! I don’t like the crowd, so I mostly do my shopping online. I hate the crowd, but love the moment when I find the perfect gift 🙂 Thanks for the giveaway!! I like trying to figure out the perfect gift for each person on my shopping list. Pingback: The Sunday Post AKA What’s on my (Mostly Virtual) Nightstand 11-26-17 – Escape Reality, Read Fiction! I love shopping as long as I get plenty of refuelling stops for coffee and cake. I love shopping for others!! Thanks! I enjoyed shopping with my family. Finding something I think will make my family laugh when they find it in their stocking. I hate holiday shopping! I’d rather do it at home from my computer. I loved going black Friday shopping with my daughter who is away at college. We do it every year and we both look forward to lunch together and fun. I most like being able to shop online!! I am so thankful not to have to run around looking for what I need all over town; it’s great to be able to click and get it delivered. No stress! The crowds and parking! I hate shopping when it isn’t even holiday season. It is ten times worse this time of year. I love the shopping and shop for Christmas all year round. What I hate is the wrapping and mailing and I seem to procrastinate every year even thought my intentions are good! Thanks for hosting and for the giveaway, Marlene! I prefer to shop online these days, at least after Thanksgiving. (I do some shopping locally through the rest of the year.) I don’t like the crowds in the stores. I do miss the decorations, though. I hate the long lines, but I love the deals! I’m a dealaholic! I dont enjoy the weather. I also hate this new shopping on Thanksgiving instead of Black Friday. I love looking for things for my 5 year old niece! I love the deals and finding the perfect present for someone. The traffic and the crowds. Thanks for the giveaway! I love finding unique gifts. I’m not a fan of long lines. I hate shopping in general but I really don’t like the crowds on Black Friday.